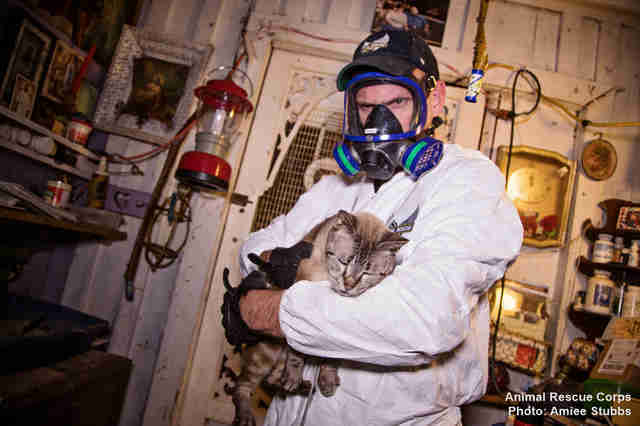 They'd been living in filth for years, but are now so loved. 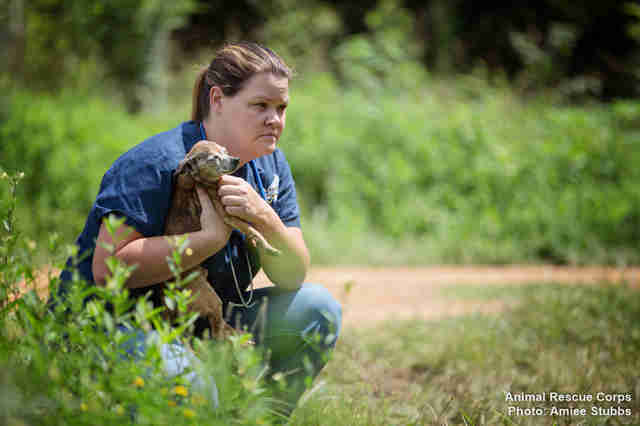 Sometimes, saving the lives of animals can pull you in too many directions at once. In a single day, Scotlund Haisley and his team at Animal Rescue Corps (ARC) drove from one end of Tennessee to the other, responding to very different reports of animals in need. The first scene, a mountain enclave in Hardin County, was haunting enough for a lifetime. That's where ARC members, working alongside police and animal services, found dogs, cats, even horses in states of chronic suffering. And where rescuers doubled as excavators. 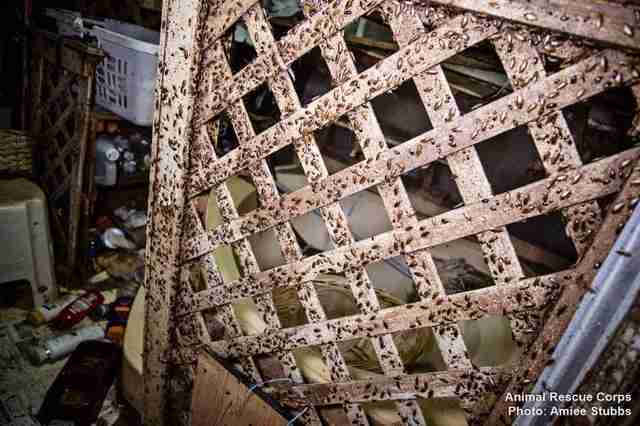 The remains of four animals were collected from makeshift burial heaps, including a dog. 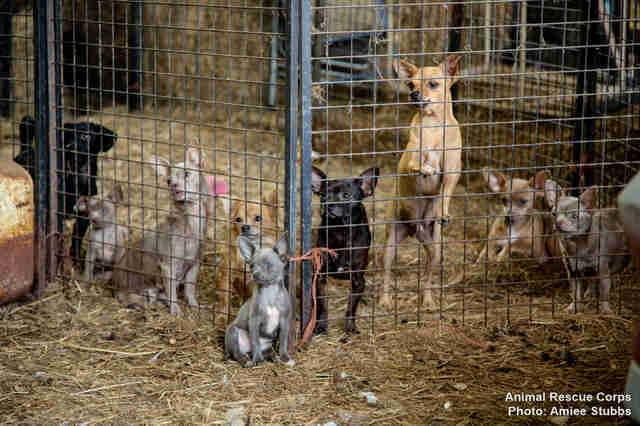 "The [property owner] was actually posing as a rescue group and a Chihuahua breeder," Haisley tells The Dodo. "She has two different websites that are not connected. She is selling dogs and she's supposedly rescuing dogs. "The only category I am putting her in is an animal abuser." 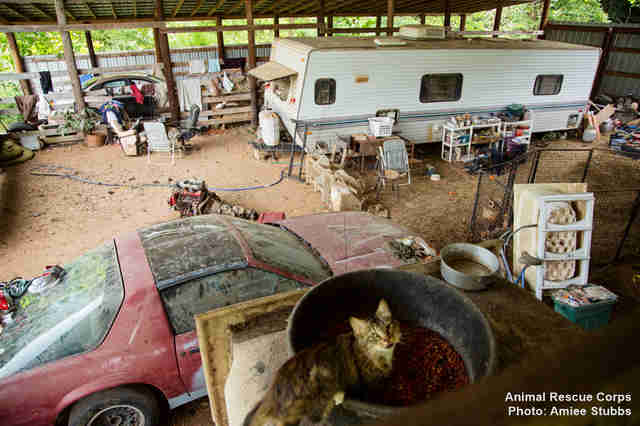 In all, 26 dogs, five cats, 10 chickens and two horses were hauled from the property. The owner is facing animal cruelty charges. The other property, in Tracy, Tennessee, would have likely remained undiscovered had there not been a car accident nearby. The drivers involved made their way to the nearest property and, as Haisley puts it, "discovered a house of horror." Again, ARC got the call. Teams still reeling from one nightmare in Hardin County raced to another. "What is clear to me was this place was operated by someone with significant mental health issues to the point of insanity," Haisley says. "The scene of suffering was absolutely surreal." He describes dogs and cats crammed into rat-infested pens. "Their nails were so overgrown, they were sinking back into their paw pads, several inches long," Haisley says. 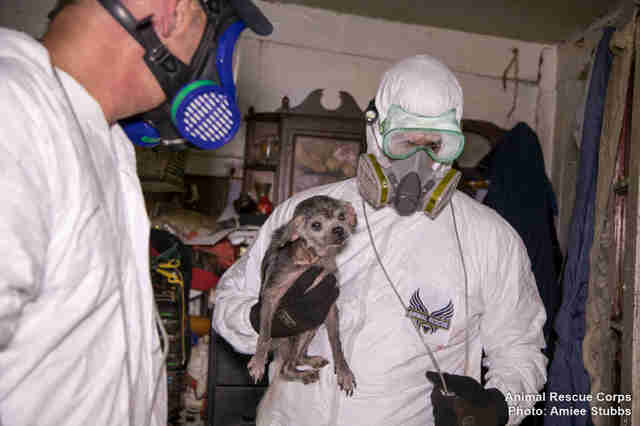 "They had been living in their own filth and feces for years," Haisley adds. 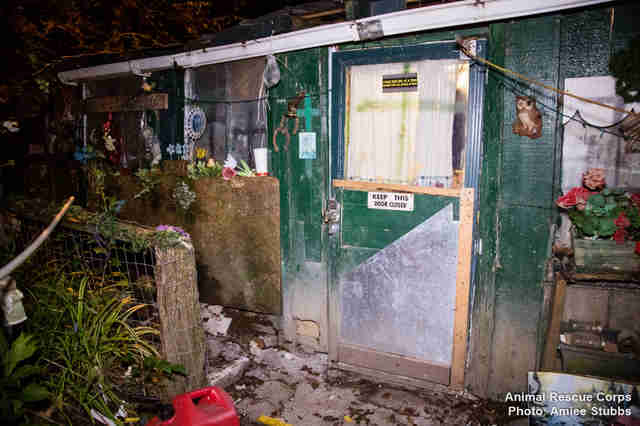 "Without any exaggeration, in each structure the dogs were in, their floor was at least 12 inches high in feces." 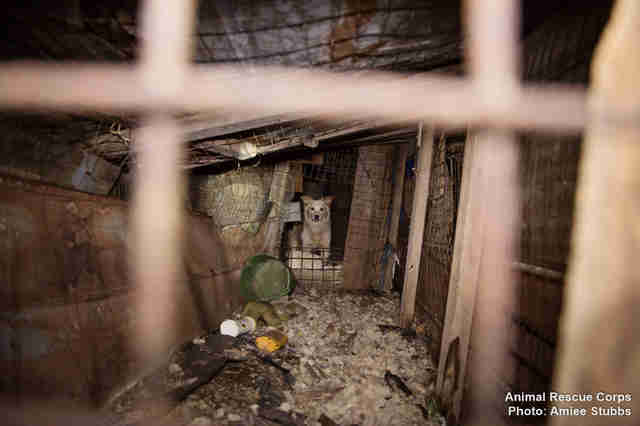 In all, 21 animals were removed from the Tracy property. That owner is also facing animal cruelty charges. But what truly united these operations that both went down in a single day was not the horror. But the hope. 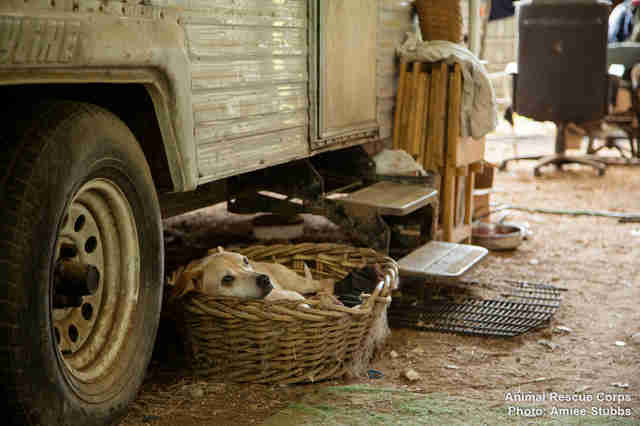 Around 60 animals will get the medical care they had lived so much of their lives without. Most importantly, they will eventually find real homes. And animals whose lives began in darkness will know light and love. All because a few good people refused to call it a day. If you would like to support Animal Rescue Corps and its mission to save countless animals across the U.S., consider making a donation here.